Grade 8 students use the link below to practice names of the parts of a circle. Alhamdulilah We are about to finished memorizing surat AlMujdalah and the final memorization test will be on Monday, November 11th, 2013, Insha’Allah. In Math,Alhamdu llelah we finished the 1st math chapter: Number Relationships, and had test in the material covered. During that time, students where learning about common factors and common multiples, estimating and finding square roots as well as writing numbers in scientific notation and powers. In addition to that, they were practicing mental math including divinding and multiplying decimals. In the coming few weeks InshaAlah we will be working on ratios and proportionals. The students will be practicing converting between fractions, ratios, decimals, and percentages in addition to solving real life word problems using ratio and proportion. In Arabic, we have covered the following: colors, days of the week, new vocab, reading and writing skills. In the coming few weeks, the students will continue to practice reading with understanding as well as improving their writing skills. We will have a spelling test (imlaa) every two weeks and students will be forming sentences with pronouns on past tense verbs. I wish you Eid full of blessings and happiness. In Language Arts, students have been studying the genre of Biography and Autobiography. Students have read excerpts from the Autobiographies of the author Roald Dahl and Nelson Mandela. Students have focused on developing a clear writing voice through reflective writing practice. Students have also analyzed how meaningful communication can take place through the use of visual symbols. Our first test in Language Arts will take place after the Eid Al-Adha break. More details regarding this will be posted on the blog as the test date nears insha Allah. 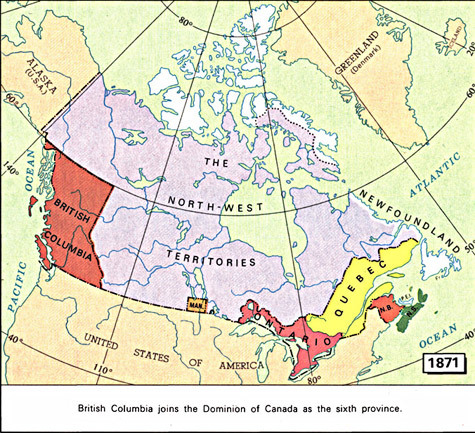 In Social Studies, we have been looking at the period of Confederation. Students have read about the interactions between the various British North American colonies in the 1860s, as well as the challenges faced by each individual colony. Students have had to critically analyze these challenges in order to understand what it would take to convince these colonies to cooperate. Reminder of the History Test this Wednesday. This test will cover all material discussed in the unit so far. Remember to focus on understanding the unit question which is to understand the main factors that led the BNA colonies to unite. You should review all chapter comprehension questions as well as any important sections from the textbook. I hope this blog post finds you well and in good health. For the past three weeks, during the class library visit, students from grades 7 to 9 have been developing their research skills by using ResearchReady, an online learning platform. They were given a pre-assessment test to see where they were at concerning their research skills. The following week, we went over the results, and we started the first unit called Sources, Sources, Sources. Each week, the students have one or two lessons to do online. I am able to monitor their progress to see if there are any gaps. The following week, we discuss the past lesson(s) and the next upcoming lesson(s). At the end of each unit, there is a quiz. These quizzes will be marked and included in the report card. I cannot emphasize enough the importance of doing all the lessons. All the students know that if a problem arises, I am just an email away; I will reply promptly, inshaAllah. Research is and will continue to be part of their personal life and their academic life, so we need to give them the skills that they will need to be successful, inshaAllah. Inquiring Minds Want to Know: 12 lessons in this unit. · It is with great pleasure to inform you of our 5th annual Quran Competition. The first round will be held in December 2013 Inshallah. (The final round will be in January 2014). Registration: All entries must be registered with your Quran teacher and must be received by November 30th , 2013. (No registrations will be accepted past this date). Grade 8 will have a Math Test on chapter 1. Abraar Secondary School will administer the CTBS over three days, October 1-3 for grades 7-8. 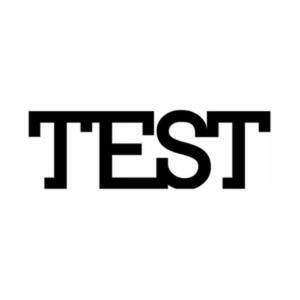 This test does NOT require prior preparation by the students. Please make sure that students do not miss school during these days (Oct.1-3) and come to school on time. Please make sure that they are well rested and have a healthy breakfast before coming to school. Please send a minimum of two, well sharpened, #2 pencils and an eraser with your child during the testing days. Jazakumullahu khaira for your cooperation! Welcome to Grade 8 Homeroom Blog! Welcome to the Grade 8 Homeroom Blog! My name is Rami Elsaleh and I will be the Grade 8 Homeroom Teacher this year. This is my first year at Abraar. However, I am coming to Abraar with more than 15 years of teaching experience in Grades 7-12 in International Schools. Certificates of Participation and Achivement handed out today, the first place only received golden medal in addition to highest score certificate from University of Waterloo. Al Hamdollah, Gr7 and Gr8 students did a great job today in presenting their towers and poster boards during the First Engineering Day at Abraar School.